Man you can just feel the anxiety set in. We experience anxiety around the holidays for a variety of reasons. For some it’s financial stress, others it’s facing family and friends with hard relationships, for some it’s just being expected to eat around others. 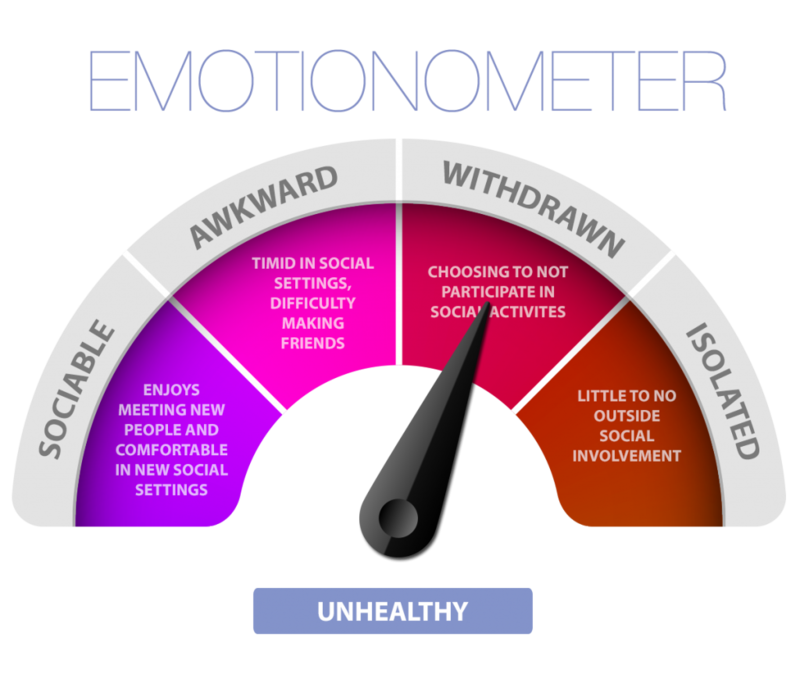 Maybe you’re feeling all of those, and rather than participate you’d rather isolate. Locking our door, curling up in a warm blanket and turning up a loud movie sounds real nice to those of us dreading the holidays. So why do we do it? Why do we put so much time, energy and money into making the holidays special. I mean, you get time off school, time of work, everyone seems to see the value in getting together during the holidays. Why? Well maybe it has to do with the fact that most of our best memories come from times we’re together with our loved ones, being generous and expressing gratitude for the good things in life. This is the season that resets our motivations and recharges our reasons for why we work so hard. Well here’s 3 tips to overcome Holiday Anxiety and Isolation. Our bodies need human interaction to thrive and even survive. Do you know what happens to babies that are deprived of human physical touch? They die! Literally, they will stop growing and if prolonged they will decease. (Here’s the article) What’s that say about us for the rest of our lives? I know that I can’t go very long without hugs and kisses. But maybe that’s because my primary love language is physical touch, and not everyone is like me. Well, even if the thought of having to kiss Aunt Lenore brings on some anxiety, realize that it is ACTUALLY good for you. So maybe it’s something you prepare for and work up to. Start with the most familiar and comfortable human physical connections: hugs from mom or dad, hug your brother or sister, nuzzle a baby brother or niece or nephew. Hug a friend, in fact go for the 8 second Colin Kartchner hug. I promise the more you intentionally try to increase your human physical interaction, the less anxiety holiday interactions will bring you and the less you’ll want to Isolate. Right now you’re thinking, “Yes they are, I do that all the time” For those who have never known a world without texting, one word answers seem totally normal. How many of our reply texts are one word? Tons, I get that, but in a face to face interaction, what does a one word answer imply? Think about it. One word answers really say, “quit talking to me. I don’t want to talk.” Whether you realize it or not that’s what most people infer from a one word answer. Sure there are those that persist and aren’t affected by the one word answer, usually parents, nosey parents, good parents. So realize what it means in society, and do your best to never give a one word answer. When you practice this you’ll find that as you share more of your thoughts and feelings verbally face to face, you’ll prefer physical world communication over digital communication. Developing an attitude of gratitude creates inside us a desire to be with others, look upward and onward with hope and excitement for life. So rather than just letting the holidays come and go without doing what they were designed to do, do it intentionally. Prepare a list of what you’re grateful for. A-Z or 1-50 if you can. I promise it’ll reduce your anxiety and increase your desire to be with others. And then when you’re with them, remember what your grateful for and overlook the annoying parts. What is resilience? Basically its the ability to get back up, try again and do the next hard thing. Doing these 3 things isn’t easy. It requires effort. But just like working out and growing our physical muscles, resilience is something that we have to work at constantly. We can’t always take the easy way out, withdraw and choose not to participate, then expect that we can do hard things when it’s required of us. Resilience is built day by day, doing the “little” hard things regularly, so when a “bigger” hard thing is required our resilience muscles are well defined and ready for action. So give it a shot. Do it intentionally. If you need some more encouragement see what the professionals at Life Launch Centers have to say about Isolation in these videos. ← School Struggles – Good or Bad?